Traction motors play one of the most important roles in the rail industry – it is essential they are well maintained and kept in good working order to prevent underperformance or unexpected breakdowns. Mawdsleys has many years’ experience in the rail industry, offering emergency repairs, fault finding services, rewinds and overhauls on all types of AC and DC traction motors, generators and associated equipment. 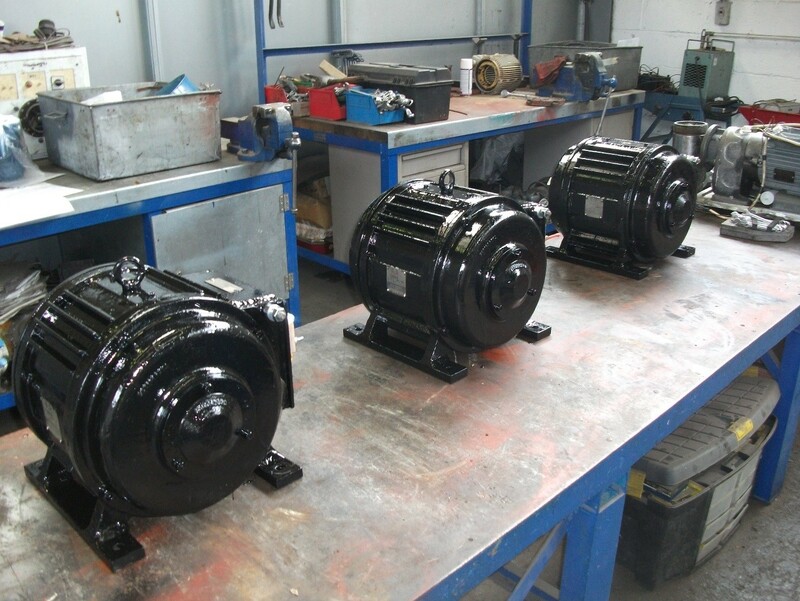 In addition to our repair and rewind service, we have the capabilities in-house design and manufacture bespoke motors to your specific requirements. Carbon brush wear leading to a build-up of carbon dust, commutator sparking and damage to the motor’s armature. Bearing failure, caused by insufficient lubrication, incorrect lubricant, misalignment, excessive vibration, shaft overload and overheating. Excessive motor vibration leading to carbon brush wear, winding faults, sparking and commutator damage. Motors are inspected to identify any immediate issues. Motors are disassembled and inspected for any distortion or wear on components. Motors are stripped and steam cleaned. Bearings are removed and replaced. Motors are then given a clean and repainted to look like new. Motors are reassembled and put through final testing. Overhaul and repair of DC alternators for GWR. We understand the pressure to keep costs and downtime to a minimum in the rail industry, so preventative, routine maintenance is recommended. Our fully equipped in-house workshop allows us to competently carry out comprehensive fault investigation, repairs, rewinds or complete overhauls of AC and DC traction motors whilst ensuring the safety and longevity of your equipment. Our workshop is equipped with curing ovens, overhead cranes, grit-blasting facilities, balancing equipment, noise and vibration testing equipment, rewinding department and a fully-equipped machine stop; allowing us to offer one of the best traction motor services in the industry. If you want to reduce the risk of an unexpected breakdown disrupting your fleet, we can help. We work to Mawdsleys Quality Standards ISO9001:2008 in accordance with British International Test Standards to ensure the repair can withstand the most serious environmental conditions. Give one of our expert team a call today on 0117 955 2481 or fill out a contact form and we’ll get back to you.